The stages of life are always in motion. Parenthood is such a stage where you sacrifice everything for your beloved child. It is a blissful feeling when your little bundle of joy comes to your world. Your focus and elixir of happiness owes to your child. The relation between a child and a father is always special and pious as much as with the mother. Along with love and care, responsibility also comes forth. However the little bundle of joy is so special to you that you want to give him or her every happiness of the world. Of all the gifts and messages, having a tattoo in the honor of kids is the best way. 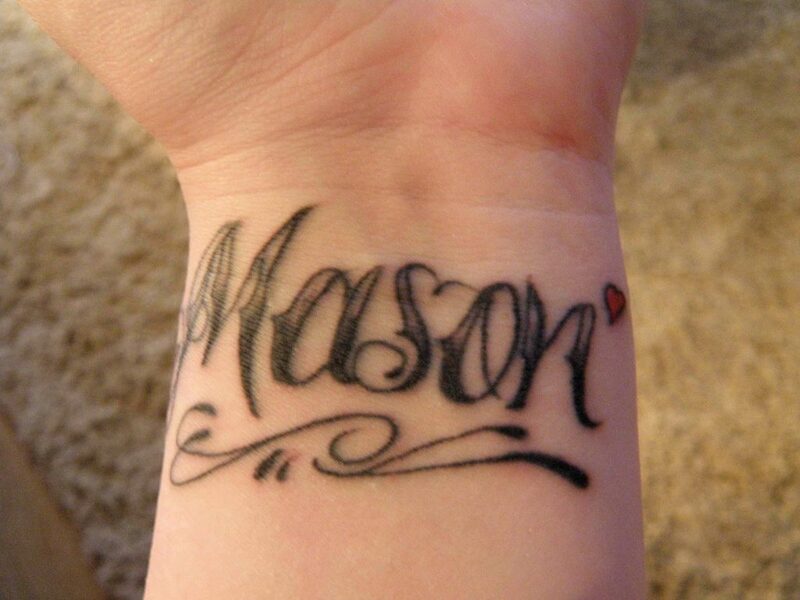 You’ll find many Tattoo Ideas for Parents that can certainly define the true love and make it look creative.. The greatest possession of your life becomes none other than your child. To show your love and gesture to your child an innovative way is welcomed. Getting a kids tattoo as a name or a face imprint on your body is one such idea. Check out for the best tattoo ideas for parents and showcase how your child is essential for your life. What are the changes in your life when your kid is born? Your life does not remain the same after a child is born. The joy of being a parent comes with certain hiccups. You have to learn how to balance between life and work. You have to set your priorities and cannot neglect the child. You have to feed your kid on time. You have to teach your child good manners. You have to know when to fulfill his demands and not to pay attention to her tantrums unnecessarily. You want him to grow as a good human being. You will sacrifice your time and important meetings for your child. It is not unusual that we love to be loved. Out of the many ways parents try to symbolize the birth of a child, getting tattoos of kids is a unique one. Imprinting your kid’s face or the name on any part of the body, you can showcase your love astoundingly. Honoring your kid in such an unusual yet special way is a step forward to make the kid feel how deep your love is. Expressing your love to your kid in this way is astounding. It will make your child feel how special he or she is. Tattoos for dads and tattoos for moms with the kid’s name will deepen the bond between you and your kid. This will be a lasting memory of the special feeling and joy which you experience once in a lifetime. As you decide to get tattoos in honor of child you might be perplexed with the multitude of tattoo designs available. It is wise to research the designs of tattoos from various sources, considering that it will be etched in your kid’s honor. Choose those designs that aptly relate to you and your child. You can get tattoos of your child’s face or its photograph, the name of your child or numbers associated with the day of birth. Consult with tattoo experts and parents who had the experience of being tattooed to avail the most appropriate options. With the internet at your fingertips, it is quite easy to look up for tattoo ideas on the internet too. Brainstorm for designs that will suit you and your kid the most. The job of designing a unique and out of the box looking kid tattoos should be handed over to the professional tattoo designer who’ll do the best job and share ideas on making it look unique. It is a special moment when you become a parent. The joy of holding your child in your arms is unparalleled. Tattooing your body with kids’ name isn’t limited to celebrities, but common parents do follow this new age style. Inking your body with tattoos of your child’s face or image is a great idea to immortalize the special feeling.